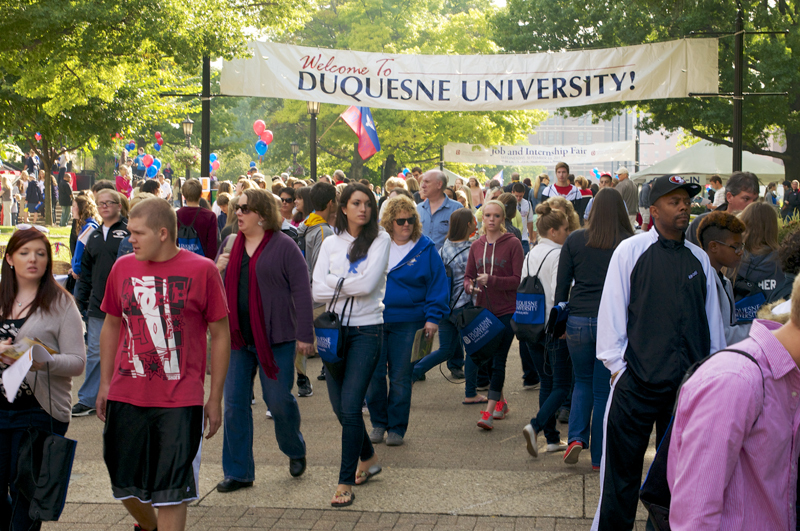 The largest freshman class in Duquesne University history enrolled for Fall 2013. 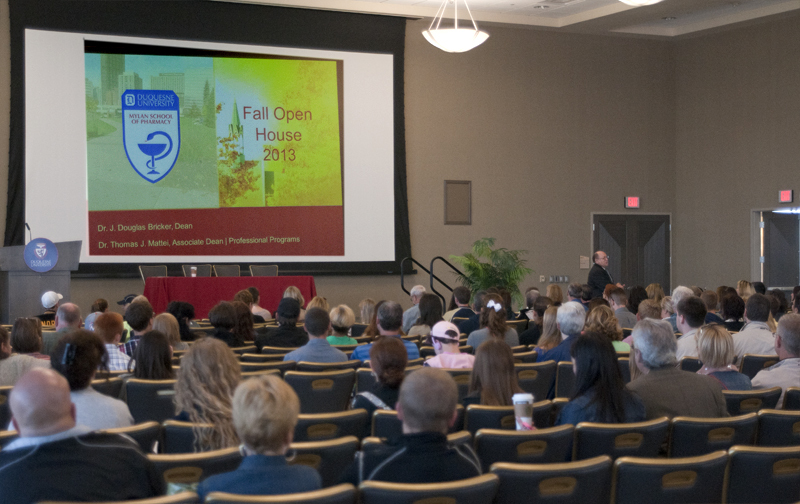 Hoping to continue the recruitment momentum for Fall 2014, the University Office of Admissions hosted the annual Fall Open House on Sunday, September 15, 2013. Dean J. Douglas Bricker and Associate Dean Thomas Mattei, who addressed nearly 300 prospective pharmacy students and their parents during the event, represented the School of Pharmacy. 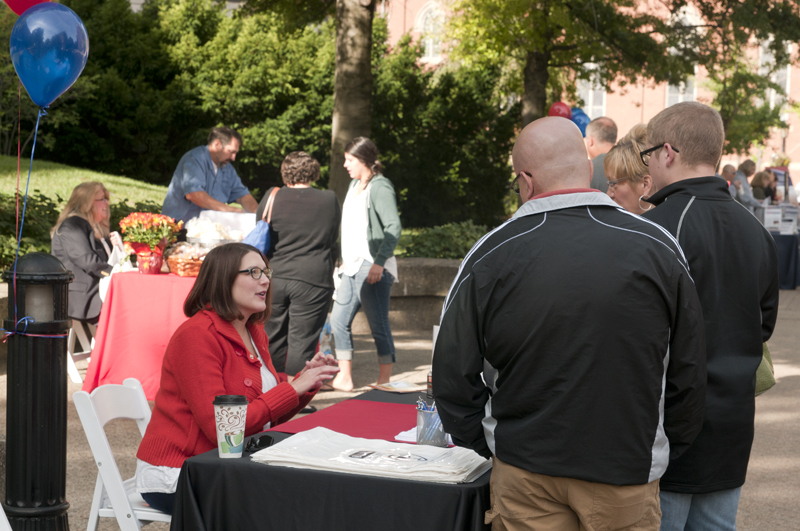 Outside, on the Academic Walk, School of Pharmacy Director of Admission Scott Copley, and Alana Harteis, School of Pharmacy Admission Counselor, spoke with families one-on-one. 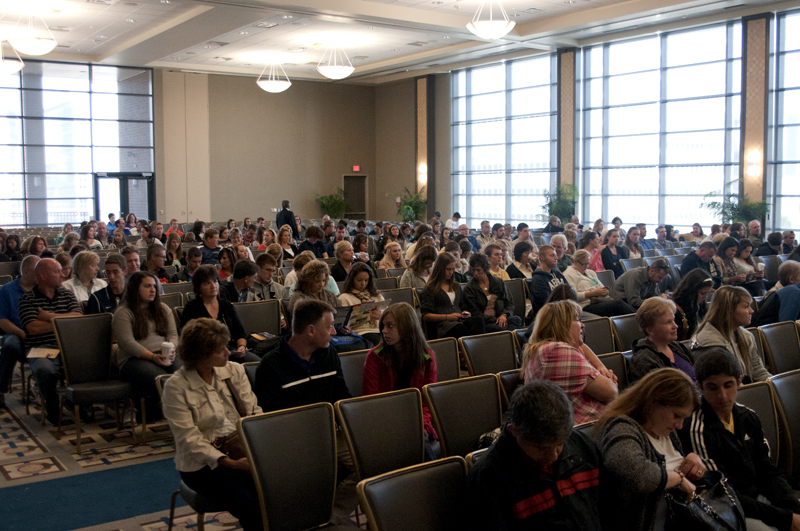 The event showcased more than 85 academic programs at the University, along with various departments and services. According to Copley, "...the students and their parents had a lot of admission questions, along with some questions about the Pharmacy profession in general. Our table on Academic Walk was busy for the entire five hours we were there." Copley went on to say how impressed he was with how many bright and motivated prospective pharmacy students attended the event this year.